3 Month Lease Pull- Ahead | Absolutely $0 Due At Lease Signing Offers " "
Open Until 6pm Today! Absolutely $0 Due At Lease Signing. Ray Laethem Chrysler Jeep Dodge RAM will waive ALL of your remaining lease payments*! Sales Ends Thursday, February 28 at 9 PM. 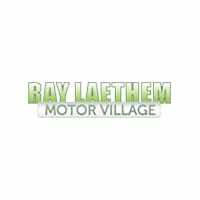 Ray Laethem Chrysler Jeep Dodge RAM is Waiving Up To Three Months, Regardless Of The Amount Of Those Monthly Payments. Sale Ends Thursday, February 28 at 9 PM. We are authorized to satisfy the final three full-months lease payments on your current vehicle, regardless of the amount of those payments. There are no exceptions. You have been chosen to receive this non-transferable lease pull-ahead offer. In order to qualify, your current leased vehicle must be returned and new lease signed by 2/28/19. Our commitment is to ensure we provide the same experience to your referral. Customer service above all else.Thank you for your referral!